Dr. Morioka is a postdoctoral scholar in the Department of Neurological Surgery at University of California, San Francisco (UCSF) and the Brain and Spinal Injury Center (BASIC) at San Francisco General Hospital (SFGH). His current research is focused on the mechanisms of functional recovery after central nervous system (CNS) trauma in the Dr. Adam Ferguson’s laboratory. This project aims to identify cellular mechanisms and biological consequences of spinal cord injury and disease. 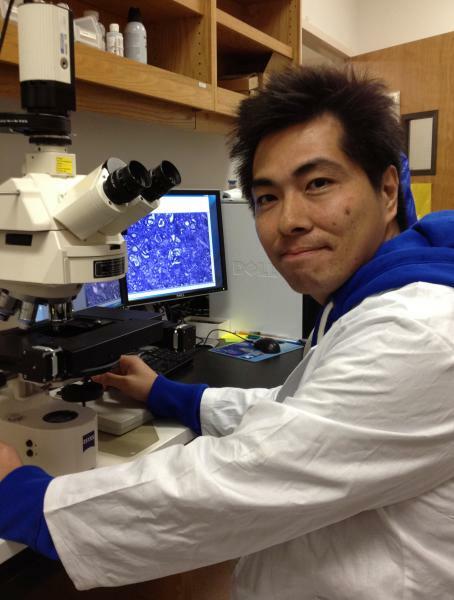 Dr. Morioka’s work uses a combination of biochemical and confocal microscopic techniques, behavioral neuroscience, and statistical analysis to investigate neuronal plasticity in clinically relevant animal models of CNS trauma and disease. The long-term goal is to provide comprehensive evidence that leads to develop novel therapeutic approaches for allowing to re-acquire essential functions following brain and spinal injury. Copyright © Brain And Spinal Injury Center. All rights reserved.